ALTHOUGH this may be the first part of the Newsletter that you read, you probably won't be surprised to learn that it's usually the last bit to be written. Sometimes I use it to squeeze in stuff that hasn't found a home elsewhere; sometimes there's a more general point that we need to make. Neither is really the case this time - this is 'just another' Newsletter. I'm not by nature a pessimist, but I am usually aware that M.V.C.G. could always be doing more than we are. But I do find it encouraging to look at the range of things covered in this edition. 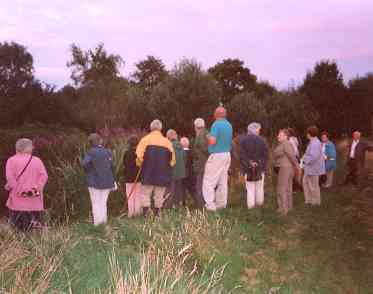 We are commenting - in a thoughtful and balanced way - on a major planning application (p.2); we are working with City Councillors and officers to help the Council do its work better (p.3); we are taking initiatives of our own to improve our patch (also p.3); we run enjoyable and 'educational' outings for our members (pp. 4 and 5); we continue with our 'direct action' garbage raids (p.6); and we manage to raise the funds to keep the show on the road in a painless and sociable way (also p.6). And that leaves out other regular work, like can recycling and working with a myriad of other groups. But it's still the case that we could do more - so if you think you would like to get involved, please get in touch. One organisation we enjoy working with is the Dundry Hill Group, and their walk on 1 September included a detour to the lake at the former Wills office which was a revelation. Apart from a heron, and coots, and amazing dragonflies, the spectacular view of the building, even in its gaunt and dilapidated condition, was a reminder of how important it is. Most people see this building from the road, at speed, and register only the girders. Go and look at it, on its pedestal, straddling the lake and in its landscaped setting, and you will see why it is listed and why it must remain. IN RECENT Newsletters there have been a number of reports which were clearly asking 'to be continued ...'. So here are the updates as of mid-September. We have written on the planning application for a PARK & RIDE on Bedminster Down, between 'The Pavilions' and Yew Tree Farm. On balance, we oppose the application and have asked that it be refused. We recognised that there was in principle a balance between environmental loss by building here in the Green Belt and environmental gain elsewhere if the Park & Ride resulted in reduced traffic intrusion, congestion and pollution in the city centre. However, it wasn't clear that this would be the case, bearing in mind that the Park & Ride site at Long Ashton is underused. This would be a very large development - unnecessarily large, at 1500 car parking spaces. There is no justification in the application for this number of spaces. Furthermore, the link road from the A38 to the A370, recently approved by North Somerset, would encourage commuters approaching Bristol from the south-west to divert to the Long Ashton site since it offers a quicker route to the city centre. If it were to be argued that a Park & Ride site on Bedminster Down would not be so difficult of access from the centre because bus lanes and other bus priority measures would be provided, then these details should be part of the planning application. 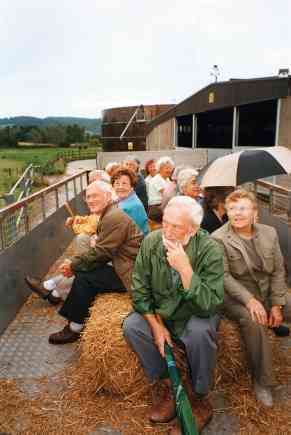 The development would have a further environmentally deleterious effect: as well as catering for commuters arriving from outside Bristol, it would also attract local traffic from within the adjacent suburbs - local people would inevitably seek an alternative to the current unsatisfactory bus services in the area. This would increase local traffic, especially on Kings Head Lane which is already a major problem for residents. The planning application is currently in abeyance - the applicants have withdrawn it to make modifications. We don't know what these changes involve or when the application might reappear. But we think that a revised application would be premature; any perceived requirement for a Park & Ride site in the A38 corridor should be considered only when the A38-A370 link road is operational and its impact on the Long Ashton Park & Ride can be assessed. The 'Pergola'-type ENTRANCE FEATURE at the Vale Lane end of Manor Woods, which was destroyed after travellers camped nearby, should soon be restored. Following pressure from Cllr Richard Eddy, money was transferred to the appropriate City Council budget, and we have confirmed with Karen Stagg, the Landscape Manager for south Bristol, that we would like to see a straightforward replacement of what was lost. The wood has been ordered and work is due to start very soon. At the OLD VICARAGE, Bishopsworth, the developers have agreed to replant the hedge facing the houses on Ilex Close which they illegally uprooted. However, they will not carry out the work yet, because they intend to submit a planning application for EIGHT NEW HOUSES around the edge of the Old Vicarage Garden and they will wait until this new application has been decided before replanting. M.V.C.G. regards such a scheme as indefensible overdevelopment and will oppose it. Our revised report on ELM TREE CORNER, which recommends various traffic calming measures, parking improvements and landscaping enhancements around the shops near the 'Elm Tree', was sent to the City Council a couple of months ago. Shortage of staff (or something) has resulted in no reply, or even acknowledgement, and Cllr Richard Eddy is pursuing this on our behalf. AS WE ARE ENJOYING nice autumn days, a few of us are already thinking of spring. We have all admired the show of daffodils at Elm Tree Corner, and at Bishopsworth Library and in front of Chestnut Court. All were planted by M.V.C.G. volunteers in the past three years. So prepare your spades and trowels! This year we are planning to bring some extracolour to Withywood Park, by planting daffodils around some of the trees, and to the grass triangle at the road junction near the City of Bristol College in Hartcliffe. If you can spare a couple of hours on Sunday 3 November and/or Saturday 9 November, please put these dates in your diary. See the Programme on page 7 for details of time and place. It is always an enjoyable occasion for all ages. 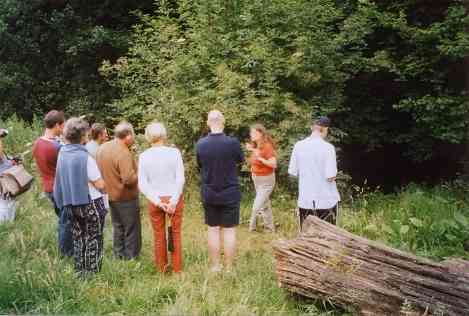 THE LAST Newsletter had a report of the excellent Herbal Walk in Manor Woods with Julia Green on 16 July. Here are some photos of that event, together with some pictures of the visit to the Alvis Brothers farm on 20 August which was thoroughly enjoyed by all. 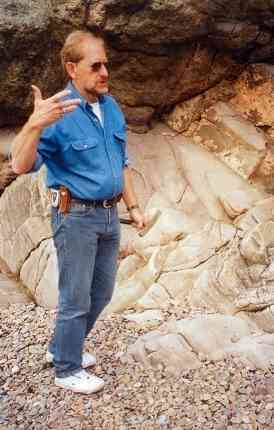 ON 8 September eleven members met at Clevedon beach for a geology walk with Charles Copp. It was an event we requested following his excellent talk last winter. The main message of his talk then, reinforced and illustrated on the walk, was that we are part of an active and dynamic environment. Each pebble, each rock on Clevedon beach has a story to tell, as it shows the marks of giant cataclysms or the remains of long-vanished animals. Charles introduced us to the fossilised remains of crinoids, sea creatures which he made more memorable as 'starfish on a stick'. We were shown dolomitic conglomerate which is made up of many minerals including barites, distinctive by its pink colour..
Due to the vast tidal range it is difficult for many plants and animals to survive. This is aggravated by the fact that water from the Severn mixes with the sea water, so the salinity constantly changes. In spite of this there are many plants normally found in seaside habitats. 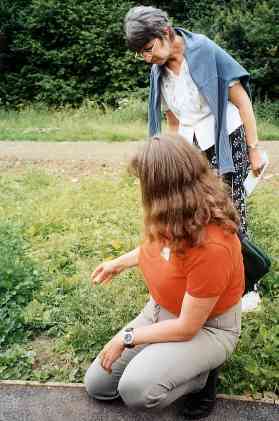 We saw sea campion, valerian, and many varieties of seaweed - and we saw and tasted rock samphire! The bird population is considerable and includes gulls, oystercatchers, redshank, curlew, and shelducks. We were delighted to see a rock pipit join us for the talk. A much closer inspection of the overhanging rocks near Clevedon Pier was made necessary by the sudden heavy rain, and some people withdrew to dryer cars, but the survivors finished off the short stroll across the beach. In a fascinating afternoon we had wandered just a couple of hundred yards, and several hundred million years. Small Boy: 'What you doin'?' Garbage Raider: 'Picking up the rubbish.' S.B. : 'Why?' G.R. : 'To make the place look better.' S.B. '!' (passes on, uncomprehendingly). What was missing here, as regulars will know, was, 'Ow much they payin' you?'. Enthusiastic support and congratulations from a passer-by who does his own litter-picking when walking the dog on Dundry. Three silly young women who found it amusing to remove some empty plastic bags from the trolley and throw the signboard on the ground. A gentleman quietly inquiring who was in charge - and pressing a £5 note into our hands as a donation. You, too, can spread delight and amusement around the BS13 area! See the Programme for Garbage Raid dates. THERE'S A NEW 'IMAGE' this year for our regular 'coffee event' - our annual fund-raising bash for M.V.C.G., the University of Withywood and the Wildlife Trust. We've moved it to a Saturday, in the hope that this will suit more people, and it's closer to Christmas. We want to give it more of a Christmas 'feel', so it's got a new title as well. But what remains unchanged will be the availability of (a) coffee or tea and biscuits, (b) sociable company, (c) a wide range of Christmas cards and attractive things to buy for Christmas presents. So don't do all your Christmas shopping before 23 November, and make a note in your diary to come to 14 Queens Road any time between 11.00am and 1.00pm and 2.00pm and 6.00pm. Suitable donations for the Bring and Buy and the Lucky Dip would be welcome, as would produce to sell, such as cakes, marmalade etc. Please ring Marie Jo on 964 3106 to deliver closer to the date, or bring things to the Bishopsworth Quiz on the 19th or our meeting on the 21st. Thank you! OUR FIRST 'winter' season meeting is on 15 October, when the architect of Symes House - the much maligned Housing Office in Symes Avenue - will tell us how it came about. Not to be missed! Our regular meetings are on the third Tuesday of each month (except in November), starting at 7.30pm at St Peter's Rooms, which is by the side of St Peter's Church, Church Road, Bishopsworth. Everyone is welcome, M.V.C.G. member or not. In the list below, the symbol indicates an M.V.C.G. event, and we are always pleased to publicise events arranged by other local groups. Monday 30 September: Garbage Raid. Meet at 3.45pm at Withywood Post Office, Fouracres. Saturday 12 October: Our annual Amphibious Garbage Raid on the Malago in Manor Woods. Meet at 10.00am at the entrance to Manor Woods behind Bishopsworth Library, and wear old clothes - and wellies if you fancy paddling along the Malago. Gloves and sacks provided. All welcome! Tuesday 15 October: KEITH HALLETT, architect, will tell us The Story of Symes House. Keith is a forceful and entertaining speaker - this will be a memorable evening! Monday 21 October: Garbage Raid, in a new location. Meet at 3.45pm at Fulford Road, Hartcliffe, at the rank of shops. Wednesday 30 October: Public Meeting from 7.00pm for 7.30pm at Dundry Village Hall organised by the DUNDRY HILL GROUP, with guest speaker BOB WILLIAMS on Dundry's mediaeval history. Plus extensive exhibitions and news of the Dundry Hill Group's future development. All welcome - please come and support D.H.G. 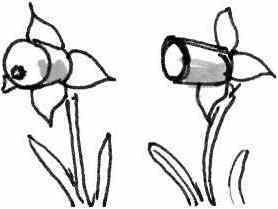 Sunday 3 November: Bulb Planting at Withywood Park. Meet at 10.00am at Withywood Post Office, Fouracres, and bring a spade and trowel if you can. Saturday 9 November: Bulb Planting near the City of Bristol College. Meet at 10.00am at the junction of Hawkfield Road, Hareclive Road and Bishport Avenue and bring a spade and trowel if you can. Tuesday 19 November: Bishopsworth Quiz at the Royal British Legion, Manor Road, Bishopsworth, starting at 7.30pm. Come and support the M.V.C.G. teams! Names to André by Friday 15 November, please (964 3106). Thursday 21 November: A talk on Biodiversity by SARAH JEFFS and MEGAN COLES of the SOIL ASSOCIATION, the Bristol-based national body which certifies organic foods. 7.30pm at St Peter's Rooms. Please note the change to Thursday so as not to clash with the Bishopsworth Quiz. Saturday 23 November: Christmas 'At Home', our annual event to raise money for our funds. This year at 14 Queens Road, between 11.00am and 1.00pm and 2.00pm and 6.00pm. A pleasant opportunity to do your Christmas shopping. Please come and bring a friend! Monday 25 November: Garbage Raid in Manor Woods. Meet at 3.45pm at Bishopsworth Library. Tania Case, Valerie Gay, Peter Hall, Audrey Milton, Ted Thomas, Sue Walker, CSV Environment, Cllrs Bernard Chalmers, Peter Crispin, Richard Eddy, Royston Griffey, Ron Hodges, Colin Smith, Mary Sykes (All the City councillors for Bishopsworth, Hartcliffe and Whitchurch Park wards are invited to become co-opted Committee members).